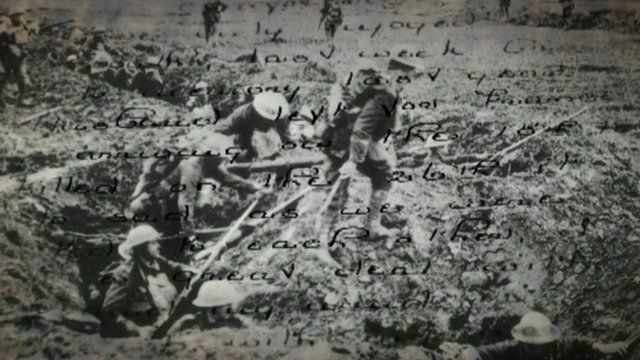 The letters of WW1 widows Jump to media player The letters written by the widows of husbands killed in the First World War are to be made public for the first time. Plans to mark Battle of Jutland Jump to media player Orkney is to play a key role in the commemorations of the Battle of Jutland in 2016. Life as a war widow in Britain - Nikki's story Jump to media player British war widow Nikki remembers the moment she was told her partner Lee Scott had been killed in Afghanistan. Five brothers killed in WW1 Jump to media player World War One had a devastating impact on many communities around the UK and in the Lincolnshire village of Friesthorpe one mother and father lost five of their eight sons. A group of letters written by the widows of husbands killed in the First World War are to be made public for the first time. They were all written to Mary Pennyman, who was secretary of a benevolent fund for the King's Own Scottish Borderers. The letters demonstrate the financial and emotional hardship that these women suffered after the loss of their husbands.